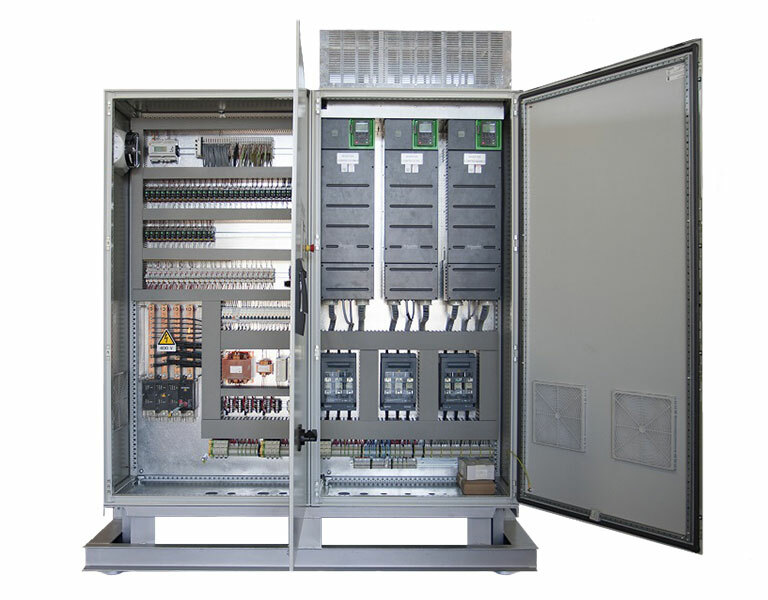 The company produces a wide range of control panels based on customer requests, also with customized solutions when minimizing the overall dimensions of the electrical control assemblies is imperative. 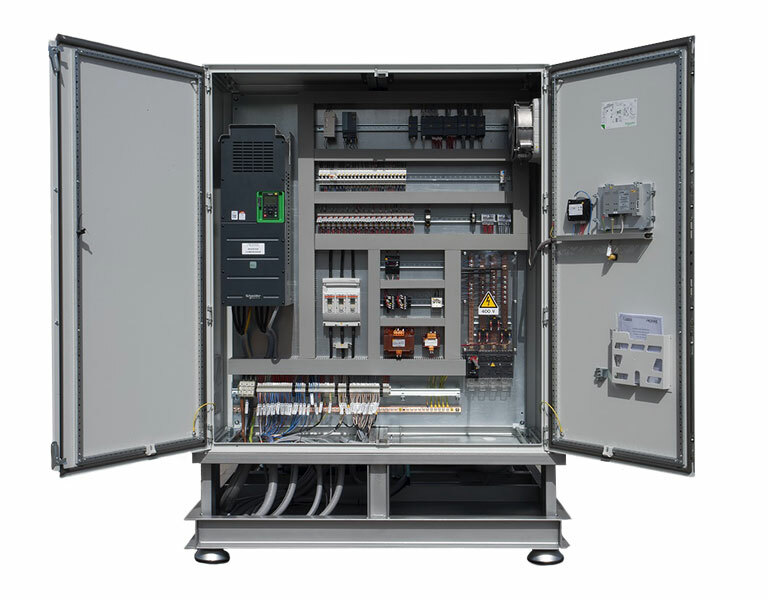 Our control panels comply with the standards EN 60439-1(CEI 17-13/1). ATEX control panels are available on request. The assembly of the different elements as well as the electrical wiring is performed by highly professional resources from the relative specialized department. Control panels are then tested to ensure their full functionality and design compliance, and consecutively marked CE, which completes the electrical documentation enclosed with the supply. 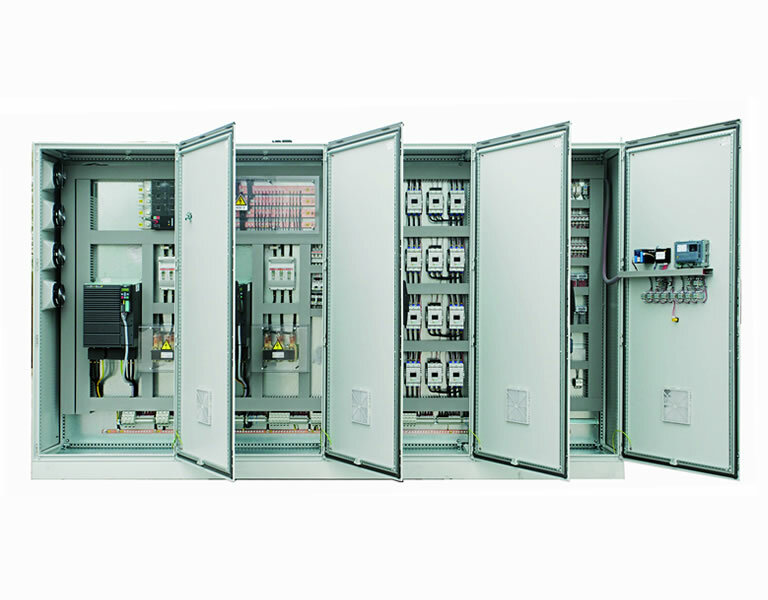 For complex units Siemens PLC controllers with dedicate software, suitable to the level of complexity of the system itself, are available on board of the machine. The software is realized in the company by a team of highly qualified engineers and technicians, based on the experience gained over the years; the software can be customized according to the individual needs. On request, all the tools can be supplied in order to integrate the machine in a data exchange and data acquisition network on different protocols. Our supervision service also allows to remotely access the machine and thus check promptly the condition of the unit itself, as well alarms and values of the fundamental variables; in addition it is possible to change machine parameters. The remote assistance service, instead, allows the customer to receive remote assistance in accordance with the principles of the project Industry 4.0. An intuitive HMI (Human Machine Interface) completes the supply; easy to use and accessible from the web.